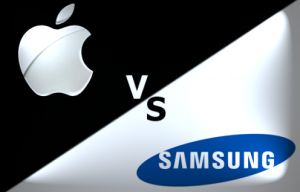 During closing arguments, Apple attorney Harold McElhinny claimed Samsung was having a “crisis of design” after the 2007 launch of the iPhone, and executives with the South Korean company were determined to illegally cash in on the success of the revolutionary device. The trial came after each side filed a blizzard of legal motions and refused advisories by U.S. District Judge Lucy Koh to settle the dispute out of court. As part of its lawsuit, Apple also demanded that Samsung pull its most popular cellphones and computer tablets from the U.S. market. From the beginning, legal experts and Wall Street analysts viewed Samsung as the underdog in the case. Apple’s headquarters is a mere 10 miles from the courthouse, and jurors were picked from the heart of Silicon Valley where Apple’s late founder Steve Jobs is a revered technological pioneer. While the legal and technological issues were complex, patent expert Alexander I. Poltorak previously said the case would likely boil down to whether jurors believe Samsung’s products look and feel almost identical to Apple’s iPhone and iPad. To overcome that challenge at trial, Samsung’s lawyers argued that many of Apple’s claims of innovation were either obvious concepts or ideas stolen from Sony Corp. and others. Experts called that line of argument a high-risk strategy because of Apple’s reputation as an innovator. Apple’s lawyers argued there is almost no difference between Samsung products and those of Apple, and presented internal Samsung documents they said showed it copied Apple designs. Samsung lawyers insisted that several other companies and inventors had previously developed much of the Apple technology at issue. The U.S. trial is just the latest skirmish between the two tech giants over product designs. Previous legal battles were fought in Australia, the United Kingdom and Germany.